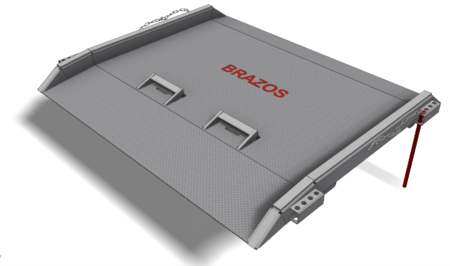 The term “loading ramp” defines about half of everything we build at Brazos Manufacturing. 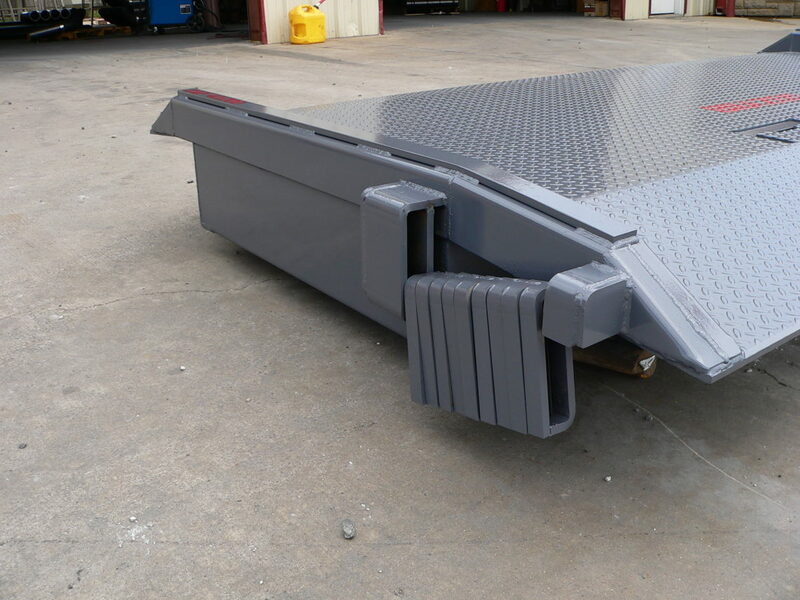 A dockboard or dockplate is a loading ramp typically moving products into or out of a truckbed onto a loading dock. 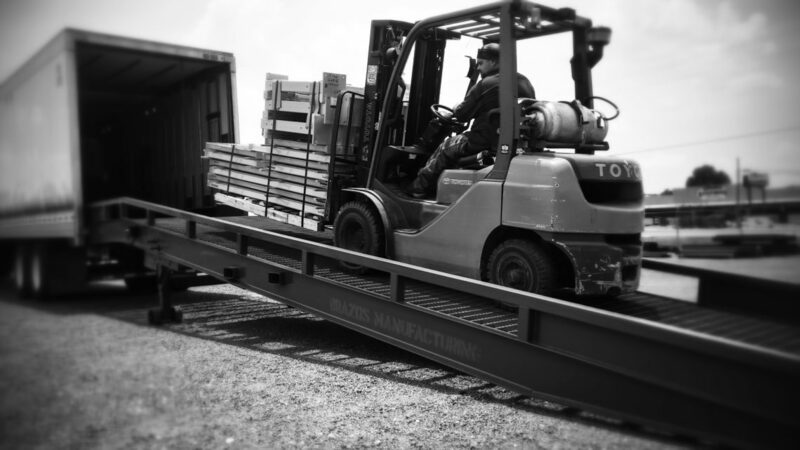 Dockboards are designed for powered equipment like forklift trucks while dockplates are limited to manual traffic like two wheelers or manual pallet jacks. Dock boards have several options like lock legs VS drop pins or lifting chains VS lifting loops. A conversation with customer service can direct you towards the right board or plate for your application. Forktruck yard ramp unloading truck. A yardramp is a loading ramp in the form of a ground to truck ramp or a ground to dock ramp. Used to access a loading dock from the ground sometimes moving pallets or other unit loads into and out of the building. Sometimes even moving autos and trucks inside. 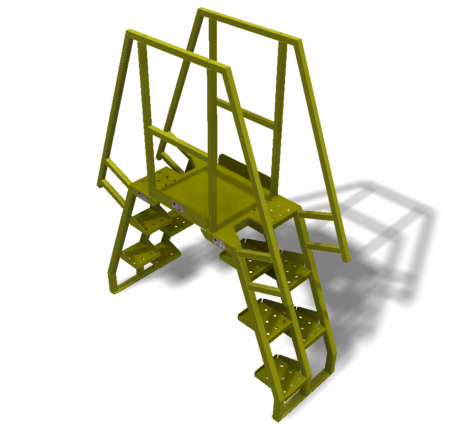 For normal dock and truck heights a ramp section of 30’will give the percent of grade within the operating range of most forklift trucks. When you are entering a truck or van where there is a roof and the forklift must manuver we add a 6′ leveloff to the end of the 30′ ramp section. Hence the two standard lengths of 30′ and 36′.